When it comes to producing exceptional quality prints, Canon Bubble Jet Printers have the edge over devices manufactured by other brands. They come with technologies that bring printing to a higher level. Their good print speeds and high resolutions make them reliable for any user’s printing needs. Canon Bubble Jet Printers are created with PhotoRealism that comes up with crisp documents photos that are realistic, making them an easy favorite. 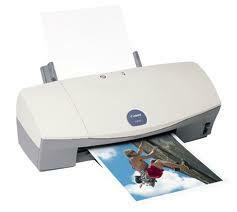 Canon S450 Color Bubble Jet Printer is ideal for home office. It is stylish and compact in its size of 17.9 “W x 12.3” D x 6.8” H and weight of 12 lbs. It is easy to use. It has a print speed of 10 pages per minute for mono and 7 pages per minute for color. It has a resolution of 1440 x 720 dpi for both mono and color. It comes with a 100 sheet document feeder. This personal printer incorporates Canon’s Drop Modulation Technology that lets you print smoothly on different forms of media such as plain paper, photo paper, high-gloss photo paper, glossy paper, high-gloss film, transparencies, envelopes, artist’s canvass, banner paper and iron-on transfers. It handles different media sizes such as B5 (6.93” x 9.83”), A4 (8.25” x 11.7”) , letter A Size (8.5” x 11”) , A5 (5.83” x 8.25”) and legal (8.5” x 14”). Canon S450 Color Bubble Jet Printer has wired connectivity and has USB and Parallel interfaces. It is compatible with Windows and Mac operating systems. Canon BJC 250 Color Bubble Jet Printer is an affordable printer that is ideal for students or those who work from home. It measures 14.2” W x 8.3” D x 6.7” H and weighs 5.5 lbs. It has a print speed of 3 pages per minute for mono and 0.5 pages per minute for color. It has a maximum print resolution of 720 dpi x 360 dpi for mono and 360 dpi x 360 dpi for color. This printer has a document feeder that can handle 100 sheets. It supports different forms of media such as plain paper, glossy photo paper, high-gloss film, greeting cards, transparencies and envelopes. It, likewise, supports envelopes with a size 4.1” x 9.5” (US No. 10) and media with sizes letter (8.5” x 11”) legal (8.5” x 14”), A4 8.25” x 11.7”) and B5 (6.93” x 9.83”). It has wired connectivity and parallel interface. It is Energy Star Compliant. Canon BJC 250 Color Bubble Jet Printer is perfect for those who not only need a printer that falls within their budget but also delivers more than satisfactory printouts. Canon BJC-85 Portable Bubble Jet Printer Scanner is a printing device that is both portable and lightweight. It has a small size of 2.3” x11.8” x6.2 “and a weight of 4.5 lbs. It prints with a resolution of 720x360 dpi, producing rich and crisp text that is free from smudges. It has a print speed of 5 pages per minute for mono and 2 pages per minute for color. With it, you can print documents or photos from a PC or a laptop. It functions as a scanner, by taking a 15” x 12” image scan. This printer comes with the wireless IR technology and a long life battery that lets you print anywhere you are. It has a built-in 30 sheet feeder that lets you print continuously, without pause. It is compatible with PC and Mac operating systems. Printing with this laptop printer has never been this easy. You can take it along while traveling to get fast prints. Canon Bubble Jet Printers like the Canon S450 Color Bubble Jet Printer, Canon BJC 250 Color Bubble Jet Printer and the Canon BJC-85 Portable Bubble Jet Printer Scanner are fast and efficient in delivering the remarkable prints that users require. With all the exceptional features they carry at a reasonable price, one could, surely, find what he needs among these. Simply click here to return to Canon Reviews.